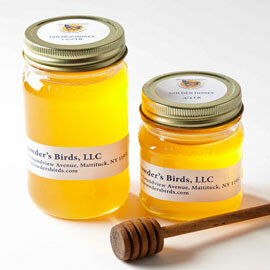 Our honeybees forage on the same Certified Organic pasture as our chicken. 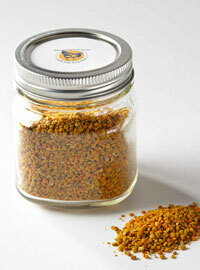 Our Golden Honey is never pasteurized or filtered, nor are there any additives. 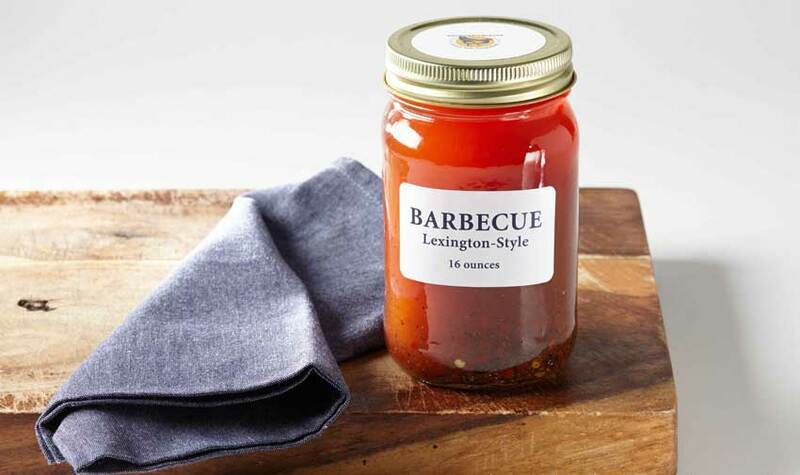 GRILL is a traditional barbecue blend with a kick. 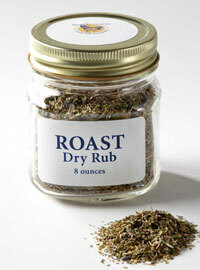 ROAST is a fragrant mix of dried herbs like french marjoram, rosemary, sage and lavender. 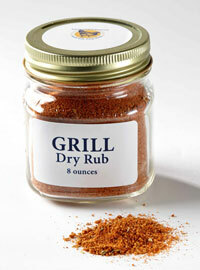 Perfect for chicken, or try them on pork, beef and even fish. 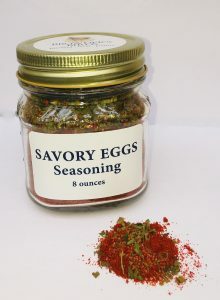 Spice up your egg game with our SAVORY blend of Spanish paprika, parsley, chives and pepper. 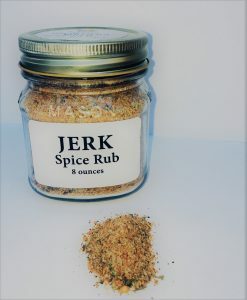 Give your chicken real heat with this traditional JERK blend of crushed hot peppers with allspice, cinnamon and nutmeg. 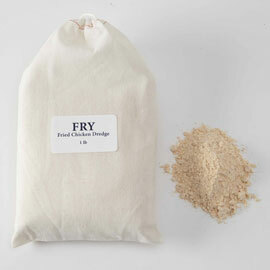 Our FRY mix is a blend of organic flour, organic cornmeal and spices. 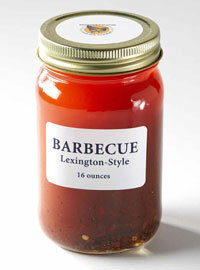 Our Lexington BARBECUE is a tangy ‘mop’ sauce to use when grilling or smoking. A North Carolina specialty! 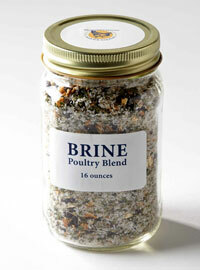 Our BRINE is a blend of sea salt, organic lemon peel, garlic, herbs and spices. One jar brines 10 lbs of meat in 2 gallons of water.